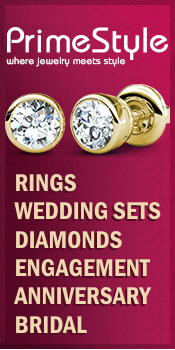 It’s frustrating when you know just what you want but can’t find it anywhere. That’s when sites like Etsy are simply amazing– you can find someone to make just about anything, just the way you want it! From gowns to veils to slippers to invitations, these talented artists and artisans can bring your vision to life. 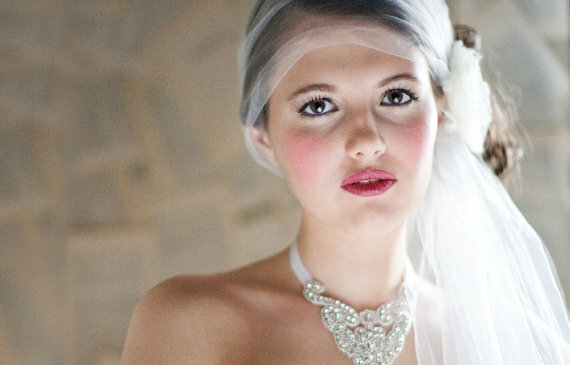 Here are just a few of the gorgeous wedding things I’ve found by browsing Etsy! 2. 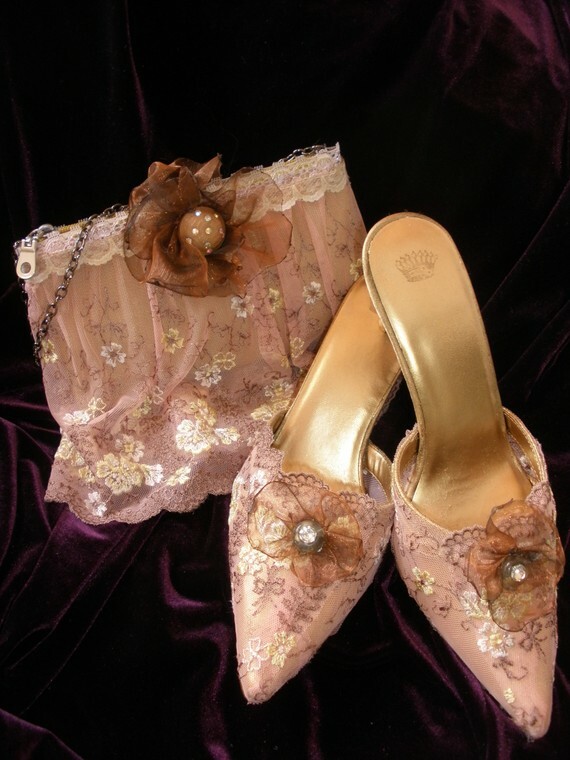 Collette Lace Shoes with Hand Singed Roses and Rhinestone Buttons Marie Antoinette Style Ballroom Slippers by ShatteredPrincess. 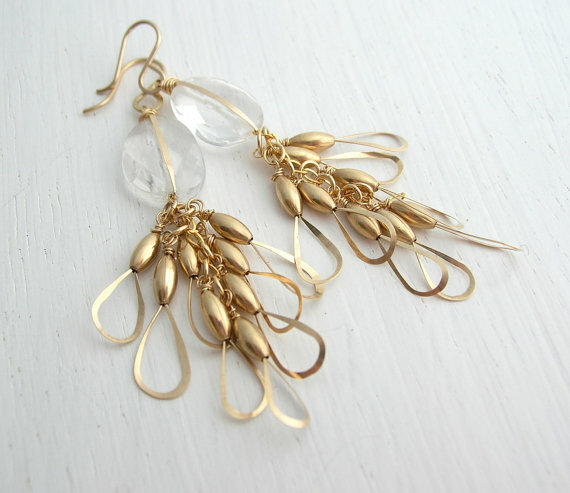 New, but enhanced with vintage lace, definitly one of a kind. 3. 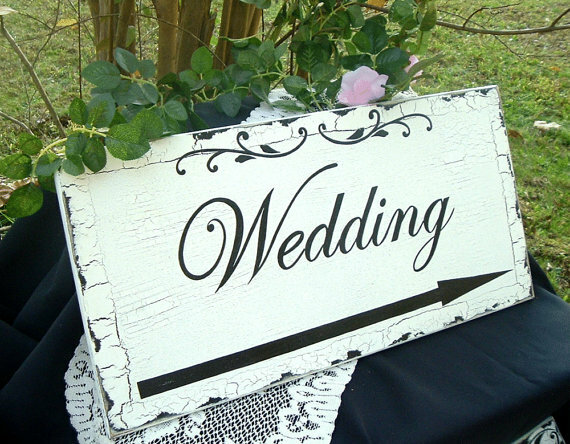 Wedding Sign Directional Wedding Shabby Chic 24 x 12 by tcart2010: Hand painted signs direct your guests in the right direction! 4. 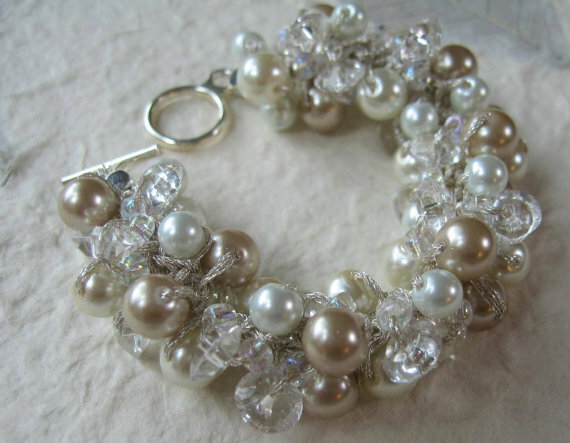 SPARKLING CHAMPAGNE on ICE – Hand Knit Spiraling Twist – Pearl and Crystal Bangle by SerebaDesigns : Creamy 8mm ivory and 8mm champagne glass pearls are mixed with 6mm soft white glass pearls… all hand knit onto light silver durable metallic cord. 5. 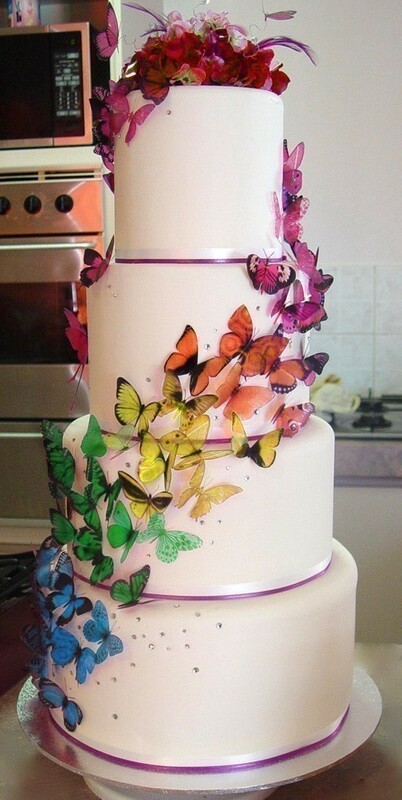 Martha Stewart Replica – Wedding Cake Butterfly Packs by clearcutcrafts2007: Pack of 30 butterflies in 5 different colors and many designs. 6. 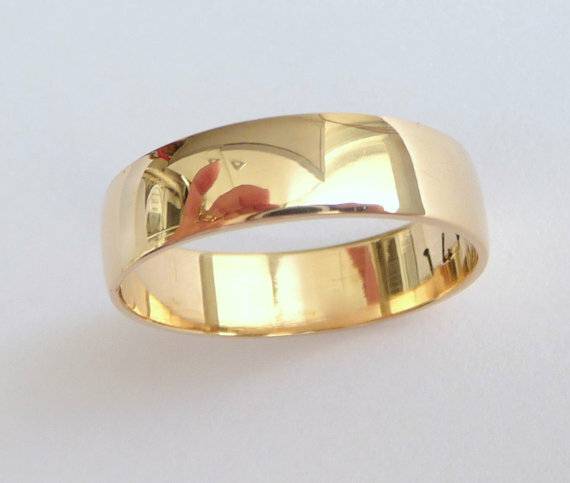 Men’s wedding ring shiny classic finish 14k solid gold by havalazar: This beautiful stylish hand made band from 14K recycled gold can be customized according to your request. 7. Retro-Tulle Headband with Hand-made Chiffon Flower with Button center by FascinatingCreations : Soft and pretty, a little bitty hippy but 100% sophisticated! 9. 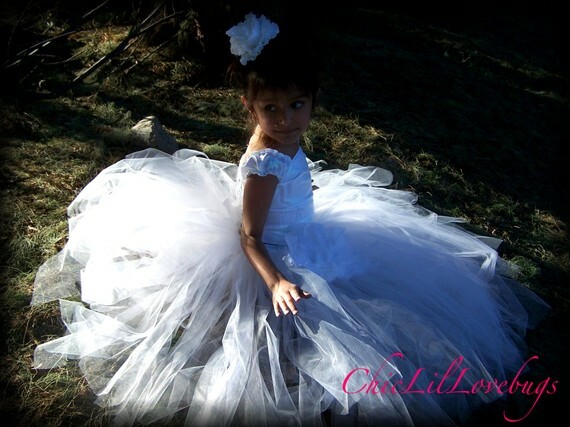 Flower Girl Fancy Tutu Dress Custom Colors by CHICLILLOVEBUGS : This Elegant Design will be recreated in any size ranging from newborn to size 6 girls, in your choice of color, fabric type, and extra embellishing. 10. 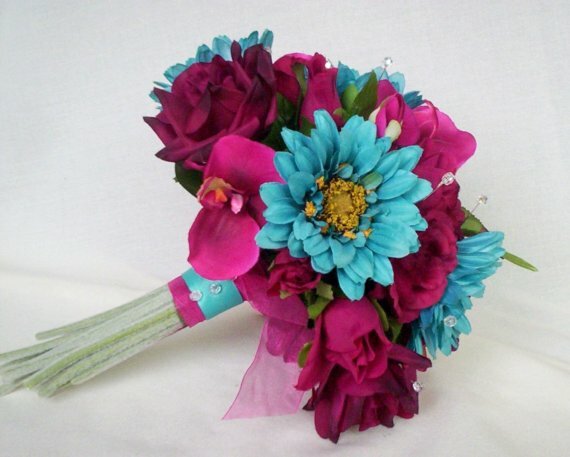 Bridal Bouquet Turquoise Fuschia Fiesta Wedding Flowers by AmoreBride : This silk bouquet and others can be customized to your specific color and floral needs! 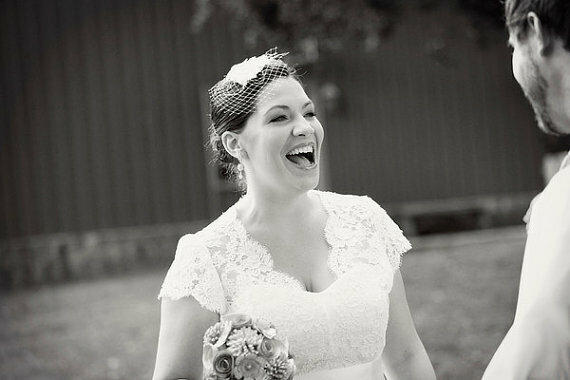 Thanks so much for including my Alencon lace wedding jacket in your blog! Appreciate it very much!